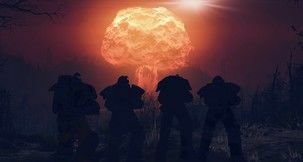 Fallout 76 Fallout 76 Server Status - Is Fallout 76 Down? Is Fallout 76 down for maintenance? That's the big question on all fan's lips right now. The servers certainly don't seem to be working, so what is the Fallout 76 Server Status? Are the Bethesda servers down? 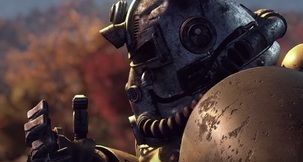 You may have received a message saying the "Fallout 76 Servers Aren't Responding" or "Fallout 76 Disconnected From Server" if you've been trying to play the game today. So, is the game down for maintenance? And if so, why? We've got the answers below. 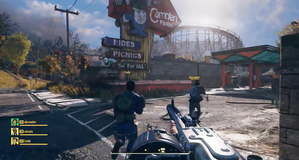 Fallout 76 Maintenance - Is Fallout 76 Down? The short answer is: yes, the Fallout 76 servers will be down for maintenance. Bethesda actually announced the maintenance today on the official @Fallout twitter feed, but you may have missed it. "Fallout 76 is undergoing maintenance on PC, PlayStation 4, and Xbox One." Bethesda normally shut's down the servers for periods of time to launch the latest patches, so most downtime seen in the game is related to that, but this doesn't seem to be related to a patch. Bethesda says that they are currently investigating the problem with the servers. As for now, sit tight and be ready to return to the West Virginia wasteland.